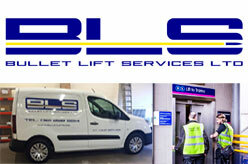 Bullet Lift Services offers friendly and professional 24 hour Emergency Lift Repair service in the Midlands area. Do not hesitate to call. Just call at 0121 258 2214.